Taste the finest Italian wines matched with excellent Italian cold cuts and cheeses. You can also try different kinds of pasta, pizza, focaccia and much more. 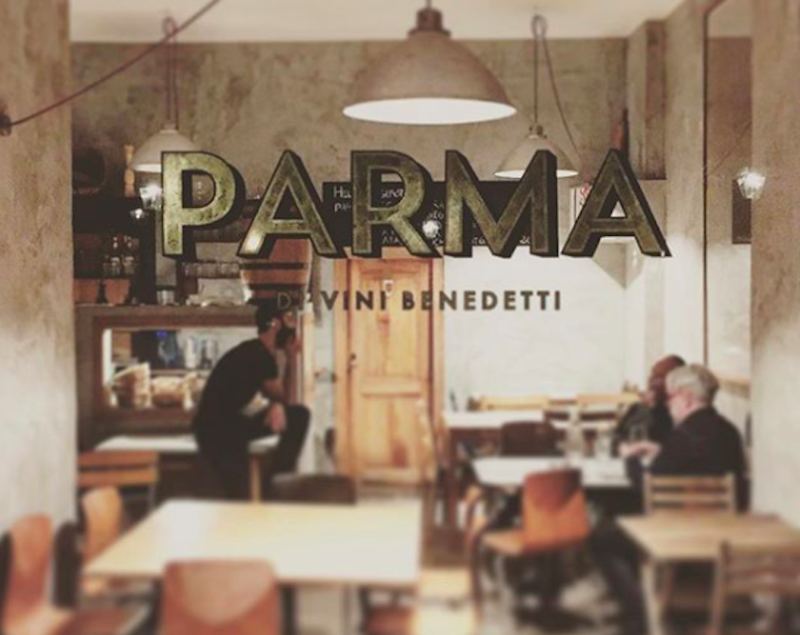 Simple recipes, quality, organic and eco-sustainable ingredients: that’s Parma di Vini Benedetti philosophy. Located at 31 Utrechter Straße, it is not a simple restaurant: it is restaurant, wine shop, delicatessen shop and meeting place at the same time. Philippe Benedetti opened it in 2014: “The concept behind my philosophy is counting on ingredients quality as well as offering my clients something that goes beyond products themselves. I like making them more aware about organic food and sustainability; I try to teach them to live their relationship with food with lightly as it should be in life in general” tells us Philippe.